1 min read . Updated: 09 Dec 2011, 06:05 PM IST John S.K. Mumbai: The Essar Group and the government of Zimbabwe have agreed to implement the pact signed between the two in August with immediate effect. The two newly formed joint venture companies, NewZim Steel Pvt. Ltd and NewZim Minerals Pvt. Ltd, will take over day-to-day operations while the transfer of assets will be carried out in a time-bound manner, both entities said in a joint statement. “The implementation of the agreements is the result of much patience, hard work and the collective effort of the concerned ministries in the inclusive government and believes that it sets a welcome precedent for significant future foreign direct investment into Zimbabwe," said Welshman Ncube, Zimbabwe’s minister for commerce and industry. 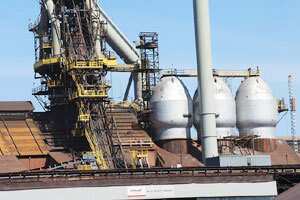 Essar Africa Holdings Ltd and the government of Zimbabwe had in August agreed to set up the two joint venture companies that will acquire all the steel and mining-related assets and liabilities of Zisco and its subsidiaries. Under that accord, EAHL also agreed to release the government of Zimbabwe from guarantee obligations related to Zisco’s debt. The Essar Group had further committed to an investment of approximately $750 million, which included relieving the Zimbabwean government and Zisco of all liabilities.